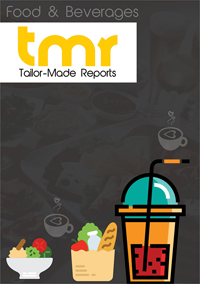 An upcoming TMR Research report will provide you with an in-depth analysis of the current and future trends of the global peppermint oil market. Research analysts with enormous experience have put together details on the market’s drivers and challenges, geographical analysis, and growth potential, and major competitors. A wide range of factors fuel growth in the global peppermint oil market. The product due to its properties is considered a natural food additive, relieving food product manufacturers from norms of regulatory authorities. This has increased the consumption of peppermint oil in the food and beverages industry. Another crucial factor is its use in oral care products. It acts against bacteria responsible for bad breath. Its medicinal properties also find applications in products that aid digestion. The rise in intake of junk and fast food products, has paved way for products that simulate digestion. These trends are expected to drive growth in the global peppermint oil market. Further, peppermint oil is extensively used in aromatherapy. Its ability to relax muscles, pain, headache, are considered favorable properties in the aromatherapy market. With rising stress among people due to personal and professional issues, people are seeking relaxation therapies. This is a noteworthy trend for the global peppermint oil market. While peppermint oil has been used for its medicinal properties since the ancient days, scientists are researching on identifying new applications of the product. Currently, there are more than 25 applications of the oil, and recent studies show potential in new industries. This will open new avenues for growth in the global peppermint oil market. Furthermore, the demand for fragrances is also on the rise. Today, people are buying fragrant air fresheners to beat odor in their car, bathrooms, and kitchens. The innovation in new varieties of fragrances hints at immense potential for growth in the global peppermint oil market. North America and Europe will lead the global peppermint oil markets in terms of revenue. Europe is considered as a mature market and hence is believed to boost growth in the coming years. The increasing fascination for cosmetics and fragrances, coupled with demand for relaxation therapies are major driving factors in these regions. Asia Pacific on the other hand, will emerge as a significant region. The growing population will push the demand in the food and beverages industry along with medicinal products, fueling growth in the global peppermint oil market. Some of the major players in the global peppermint oil market are The Lebermuth Company Inc, AOS Products Ltd, Vinayak Ingredients Pvt Ltd, and Hindusthan Mint & Agro Products. To sustain, many established players are indulging in cutting-edge research and introducing innovative products. Besides, players are also expanding their global footprint.